Olusegun Mimiko’s achievements in office, which spanned multi-sectors in the 8 years that he had the privilege to serve the Ondo people, have defied the norms of Nigerian politics. There’s no denying, therefore, that any public official in Nigeria who is interested in driving real change would prioritize putting in place social safety measures to bridge the inequality gap and drive meaningful progress in the society. Recently some state governors in Nigeria have announced plans to launch residency cards. Characteristically, buzzwords such as ‘social safety’, ‘social protection’, and ‘pull citizens out of anonymity’ litter the government press releases. For keen observers of public policy in the country, these press statements, which come straight from the PR engine room of the governments, have been met with a mix of skepticism and concern. At various times in the past decade, a number of state governments have initiated a residency card project or some other forms of identification cards. The Delta State (2016) and Edo State (2010) governments launched residency cards, which appeared to have gone defunct after colourful full-page adverts announcing the projects in national newspapers. In 2012, the Imo State governor, Owelle Rochas Okorocha made a bizarre mention of a plan to introduce a state identification card for Northerners in the state to checkmate the violence perpetuated by the Fulani herdsmen militia. His intentions gave rise to widespread condemnation. The Nigerian Senate declared the project inconsistent with Nigeria’s constitution and he abandoned the idea. In a similar move, the Imo State government introduced a ‘smart ID card’ for civil servants in the state in 2013. The project was met with stiff resistance mostly due to the cost to the state workers. 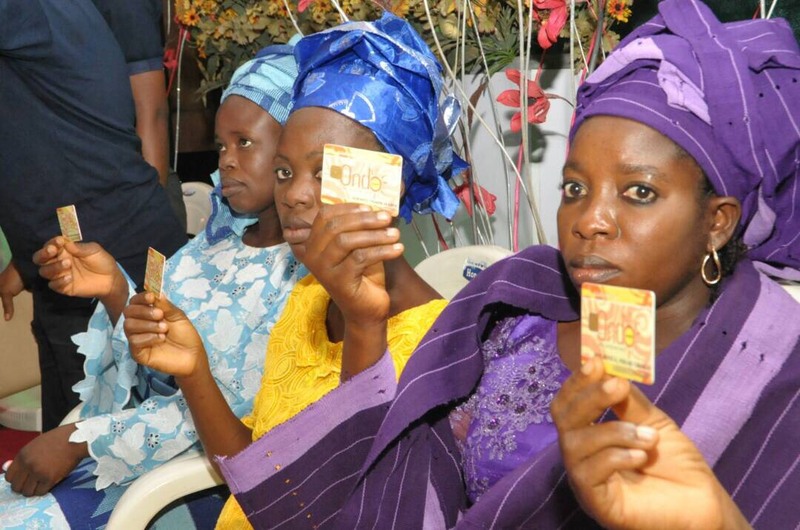 The Rauf Aregbesola administration of Osun State launched a smart card for civil servants in April 2014. It was to serve several purposes including being a source of identification. In August of the same year, it launched a Students Card. On the day of the “launch” of the civil servants card, as it turned out, there was neither a database for the card nor proof that any citizen had been issued with one. None of these cards have been widely deployed till date. The Lagos State Residency Registration Agency was created in 2011. As at July 2017, records from the agency’s website indicate that only 400,000 permanent cards are “ready for collection”. LASRRA did not respond to e-mailed questions pertaining to current data on the project. However, if available information is correct, it means that 400,000 Lagos residents would have the residency card; this represents 6.7% of the state’s 22 million population. This penetration level cannot be applauded as a success. It is safe to say that past and on-going attempts by state governments to introduce residency cards have simply not worked. Unease over recent pronouncements by state governments, center around the fact that past identification card projects, tend to become black holes for sinking public resources. But, in the landscape of e-governance false starts, there is a leading light. Before we take a close look at this internationally acclaimed success story, it is useful to review the foundation for creating a database of citizens of any society. In 2009, when a World Bank report revealed that an alarming 2.8 billion people on the globe lived in poverty, of which 1 billion (about 1 in 6 people) were classified as living in extreme poverty, the chief executives of the United Nations System came together and created the concept of a Social Protection Floor (SPF). This high profile intervention put together by these leading international NGOs identified four essential social protection rights, which ideally, should be universal. The SPF contains four key components which are aimed at providing universal access to basic social services (like healthcare, education, housing, clean water, and others) and social transfers (in cash or kind) aimed at primarily guaranteeing income security and food security. The United Nations Systems Chief Executives Board for Co-ordination, UNCEB identified governments, as the central actors for promoting social intervention policies that would reduce the extreme inequality around the world. At the time the SPF was coined in 2009, social protection programmes had been implemented, decades prior, in most of the developed world. It has been established, through observation and empirical research, that the most impactful governments were those that deliberately designed and deployed a social intervention programme. Also, the bedrock of an effective social protection scheme is the quality of data used in crafting policy, decision-making, and implementation. The most recent World Bank report on global poverty, published in 2013 and updated on October 2016, indicates that 10.7% of the world’s population lives in extreme poverty. Half of this 766 million people live in Sub Saharan Africa. A vast majority of them in rural areas are poorly educated, and half of this number is under 18 years old. According to Nigeria’s National Bureau of Statistics, 100 million Nigerians live in “absolute poverty” as at 2012. The World Bank puts Nigeria’s poverty level at 33.1% as at 2014. Leading development experts say that political stability, a crippling income inequality, ethnic conflict, corruption, and poor governance bring on this grim statistic. There’s no denying, therefore, that any public official in Nigeria who is interested in driving real change would prioritize putting in place social safety measures to bridge the inequality gap and drive meaningful progress in the society. One obvious step in this regard would be to identify those people who live on the margins of society; the people who are often undocumented, living anonymously, “the forgotten ones”. No government can be effective at driving positive change without a credible demographic disaggregation of its people at its fingertips. Because, at the foundation of an effective social protection policy must be quality data – not taken from a sample, but from the entire population. Credible data helps a government understand the people it governs; who they are, where they live, how they live, what they do for a living, how much they earn, how many children they have, where their children go to school, and how healthy they are. “It is important for all governments – federal and states to have a credible database of all its citizens for a variety of reasons,” Tejinder Sandhu, the chief of Field Office of UNICEF said in a recent interview. “For instance, if the government decided to target the ‘poorest of the poor’ for social services, you need a database of the people you want to serve. “The kind of database that supports social protection programmes is supposed to be such that it decodes the life of the citizen. In the 21st century, the use of technology in driving positive social change cannot be overemphasized. Sadly, Nigeria still trails behind in the use of technology in governance. Since the return of civilian rule in 1999, several attempts have been made, albeit unsuccessfully, to capture a modern database of Nigerians. The last national census held in the country in 2006 was an analogue affair in which census officials who didn’t use any electronic equipment on the field used the old-school, door-to-door method. Till date, the official population figures for the country are estimated. Multiple experts have called the population figures “dubious” and the statistician-general of the country has labeled the 170 million-census figure as “mere speculation”. It is against this backdrop that Dr. Olusegun Mimiko came on the stage in 2009 with a clearly defined vision of what he wanted to accomplish as the governor of Ondo State. Pretty much reflective of those of the national statistics, Ondo State had poor human development indexes in 2009. With a population of about 4 million, school enrollment was the lowest in the southwestern region and maternal mortality was one of the highest in the same region, in a country with an alarming average maternal mortality ratio. 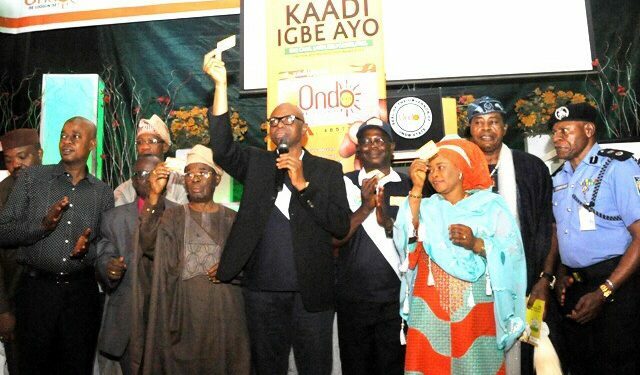 In a 2016 press briefing, Dr. Mimiko captured, succinctly, the backstory of the creation of the groundbreaking smart residency card, Kaadi Igbe Ayo. During his famed election tribunal, which lasted between 2007 and 2009, his legal strategy included using technology to prove that his opponent, then Governor Olusegun Agagu had rigged the keenly contested poll. At some point, it was suggested that Mimiko’s campaign organization should buy a software from Korea that would help him to strengthen the evidence he presented in the trial. But when his campaign’s Information Communications Technology, ICT, heard of this suggestion, they kicked against it and took up the challenge of creating a software that would sort out hundreds of thousands of ballot papers and match them with right ballot boxes. “In forty-eight hours, our team produced a software with a small fraction of money that would have been spent on the foreign software,” Dr. Mimiko explained to journalists at the Ondo Governor’s Office in February 2016. 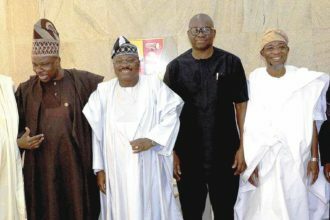 “I always knew we would run a Social Democratic Government and the bedrock of a social protection programme is the ability to track your people, to know who they are, where they live, how they live, and what government interventions they need,” the then Ondo governor said at that event. Immediately Dr. Mimiko was sworn into office, the ICT team was one of the first he put in place to begin work on creating a multi-functional residency card that wouldn’t just be a photo identification card or a biometric card, but a truly smart card that was “practicable, scalable, affordable, and sustainable.” The project was part of a broad plan to deliver government services to the people. As the team set to work, they soon discovered that they had to work without the benefit of a credible benchmark to guide their processes. “It turned out that Mimiko’s vision of a robust multi-functional residency card had never been done anywhere in the world,” Tunde Yadeka, who served as the chairperson of the Ondo State Information Technology Agency from 2010 to 2017, said. The team set out to achieve what appeared as impossible at the start of the project. Midway in the process, Governor Mimiko invited officials of the United Nations Development Programme, UNDP, to review the project and offer their technical advice. “When UNDP officials came to Akure. They met with Tunde Yadeka and his team, they inspected the project, asked a barrage of questions and concluded that the robustness of what we were trying to do in Ondo State had never been done anywhere in the world,” Mimiko revealed. “But they said that given the system that we had put in place, thus far, that a valuable product could emerge at the end of the road. “The UNDP officials advised my government to give the ICT team the necessary support that would enable them focus on the project unwaveringly. “I was, then, more confident to keep giving the project the executive support that it needed,” he said. 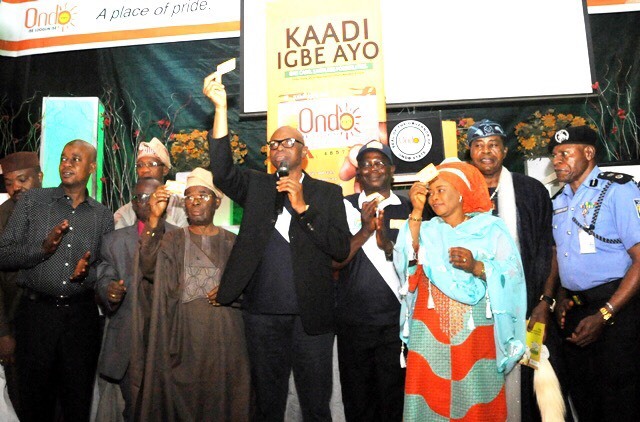 In 2013, Kaadi Igbe Ayo, which is Yoruba for Card for Good Living, was launched in Ondo State. It is a revolutionary multi-functional smart card with over 90 applications. The Ondo residency smart card captures bio data, occupation, family size, income level, tax records, and just about everything about the citizen even up to health records. Since it is a smart card, this means that the information on the card can be updated as the circumstances of the citizen changes. It is scalable and more apps can be added to Kaadi Igbe Ayo at anytime. In terms of functionality, the closest e-governance card, to Kaadi Igbe Ayo is the national card in Malaysia and it doesn’t come close to the quantum nature of data of the Ondo State Residency card. The German government tried to set up this kind of revolutionary identification system to address public health care in the country. After 11 years and £1.7 billion spent on the German Electronic Health Card, the project is in jeopardy and there are news reports that it will soon be scrapped. Kaadi Igbe Ayo has been used during the distribution of social welfare benefits like micro-loans and women empowerment programmes, distribution of farm inputs to local farmers, distribution of food to the poor, and so many other government programmes. As at February 2017, when Mimiko left office, the state government was set to begin implementing the tax-monitoring feature of the card. There is an expert consensus that deeper penetration of Kaadi Igbe Ayo and a strict tax compliance drive using the tool would directly significantly impact the internal government revenue of the state. When the Ondo State government decided to implement safety policies and needed to license all commercial motorcycle riders in the state, the Kaadi Igbe Ayo database produced an instant report on all the people working as commercial motorcycle riders in the state. It was complete with their contact information and addresses. The implementation of the new safety policies was easy and trackable. Mr. Sandhu also endorsed the social protection environment created by the Mimiko led-government in Ondo State. Using the database created by Kaadi Igbe Ayo, the Mimiko administration was armed with an up-to-date database of all farmers in Ondo State. When the federal government needed to create a database of Nigerian farmers under erstwhile President Goodluck Jonathan, Ondo State already had a database of farmers in the state up to their locations, phone numbers, family demographic, locations, and health history,” John Paul Akinduro, a former media aide to Mimiko said in a 2016 interview. In June 2017, officials of the United Nations International Children’s Education Fund, UNICEF, undertook an evidence-based tour with government officials of 16 states in Nigeria with the aim of spreading the “gospel” of social protection. Ondo State was the first stop for the international humanitarian officials where the officials and the current governor of Ondo State, Rotimi Akeredolu extolled Governor Olusegun Mimiko for his visionary leadership. Kaadi Igbe Ayo was one of the highlights of the commendations. This latest event is one in a long chain of global and national recognitions that Kaadi Igbe Ayo has received since it was deployed 4 years ago. The project has received the stamp of approval of officials of the United Nations Development Programme (UNDP), the World Bank, the World Health Organisation, and the United Kingdom’s Department for International Development (DFID). “Without his vision and unique political leadership and mentorship, Kaadi Igbe Ayo would have never happened. “Dr. Mimiko deserves the highest accolades, not just for the groundbreaking Ondo residency card, but also for the many phenomenal accomplishments in our state in just eight years as governor, “ he declared. It is worth mentioning that phenomenal things don’t just happen. They are the product of clear thinking, sound planning, and meticulous execution. Mimiko’s achievements in office, which spanned multi-sectors in the 8 years that he had the privilege to serve the Ondo people, have defied the norms of Nigerian politics. This is a man with steely leadership abilities, wholly committed to serving his people, and the intellectual strength to craft policy prescriptions that deliver measurable positive results. In the wasteland of white elephant projects that is Nigeria’s government landscape, Mimiko’s record takes on a new significance, standing out not just for his brilliance, but also for the far-reaching impact on the lives of the people. Undoubtedly, his record as governor of Ondo demonstrates the difference that purposeful and adequate political leadership can make in the lives of citizens. Dr. Mimiko is also a demonstration of what can happen when Nigerians take the wheel on the matters that concern them, and vote for a formidable politician with clout, courage, and inclination to follow through on his campaign promises, face the hard facts of governance, and deliver real value to his people. The crucial point to absorb from this developmental stride is that there’s no need for the Nigerian governors who have begun to announce plans to launch residency cards in their states to reinvent the wheel. 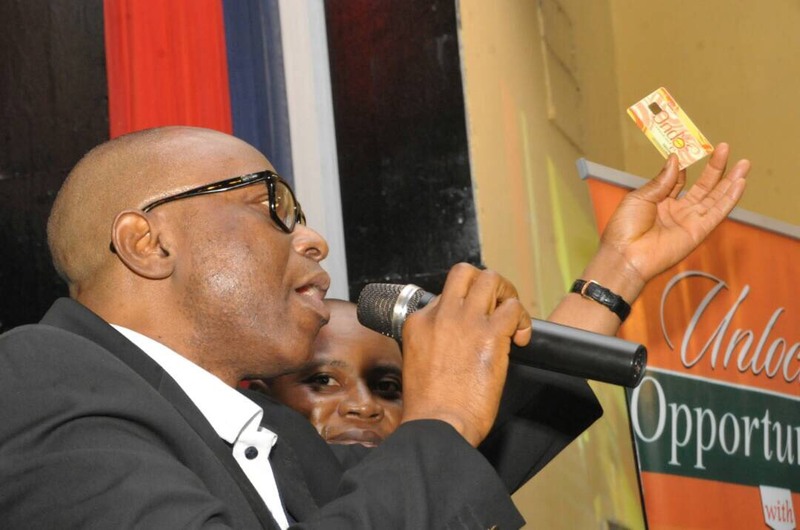 Under the leadership of Dr. Mimiko, Ondo State government produced a homegrown world-class smart card that will serve the intended purposes of the various governments quite excellently. It might be a good idea to lift the template of the revolutionary Kaadi Igbe Ayo and deploy it for the good of the people; this would ensure the value gets to the people in the soonest possible time. Launching a race to create a brand new e-governance solution could take years and may very well end up unrealized, truncated by the dysfunctional bureaucracy that often rules government institutions in Nigeria. When this happens, the government may end up settling for something less and Nigerians certainly deserve more than that. Nigerian governors need to resist the urge to turn governance into a propagandistic adventure. Ego must not get in the way of delivering quality governance to Nigerians. It may also be a good time for the federal government of Nigeria to take steps towards eradicating the embarrassment that has dogged the country in the area of creating a unified identification system for all Nigerians. It was particularly heart wrenching to read headlines in June 2017 indicating that Nigerian government officials had to resort to outdated door-to-door method for distribution of relief materials to displaced persons in the troubled North Eastern region. 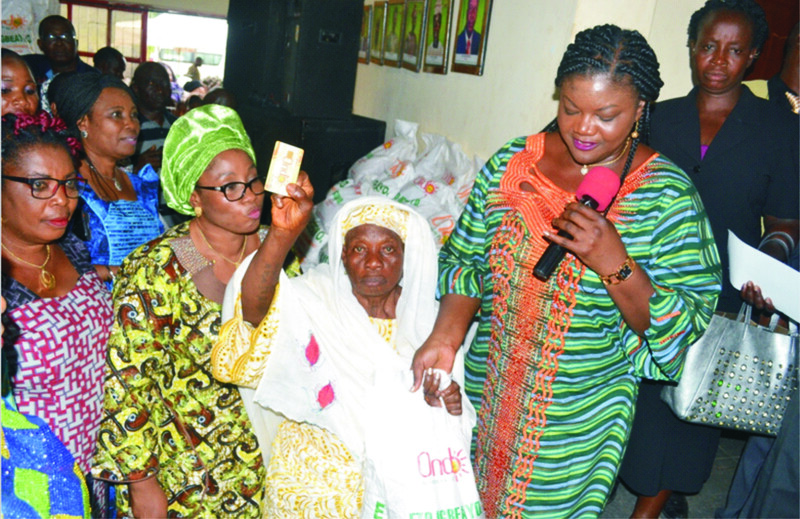 Kaadi Igbe Ayo effectively eliminated racketeering in the distribution of free food to over 200,000 women under the Eto Igbeayo Food Intervention Programme, which was concluded in two weeks. Clearly, there’s no reason why it can’t be deployed in the North East. Corruption by officials and greed by beneficiaries at relief camps can be easily purged by introducing a version of the Ondo Residency card to the people of Borno, Adamawa, and Yobe where the reign of terror by Boko Haram has displaced over 3 million Nigerians. It is also important to note that the implementation of a solution as remarkable as Kaadi Igbe Ayo at the national level would serve in enhancing law enforcement efforts in Nigeria, checking tax evasion, effectively deploying social protection programmes, among other uses. Finally, we really need to sit down, as Nigerians, and embrace new age solutions that can help overcome the technical complexities of governance and end this uncomfortable reality of not having a credible and scalable national database of our citizens.